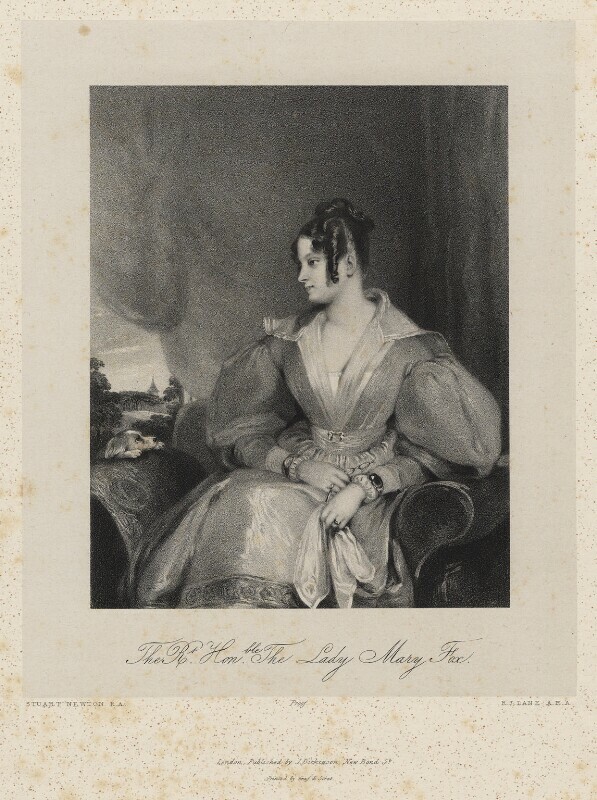 Lady Mary Fox (née FitzClarence) (1798-1864), Writer and housekeeper at Windsor Castle; daughter of William IV by Mrs Jordan; wife of Charles Richard Fox. Sitter in 4 portraits. Joseph Dickinson (1780-1849), Stationer and lithographic publisher. Artist associated with 82 portraits. Graf & Soret (active 1833-1856), Lithographic printers. Artist associated with 104 portraits. Gilbert Stuart Newton (1794-1835), Painter. Artist associated with 16 portraits, Sitter in 1 portrait.